Posted on 10/18/2016 by Mickey McCarter	in Live Review and tagged Bethesda Blues and Jazz Supper Club, funk, Minneapolis, Morris Day, Morris Day and The Time, Prince, soul, The Time. The always stylish Morris Day removed a handkerchief from his jacket pocket and dabbed his forehead. More than halfway through a show under intense lights, the singer and band leader of The Time began reacting to the heat. “I know what you’re thinking,” Morris said from the stage of Bethesda Blues and Jazz Supper Club on Friday night. 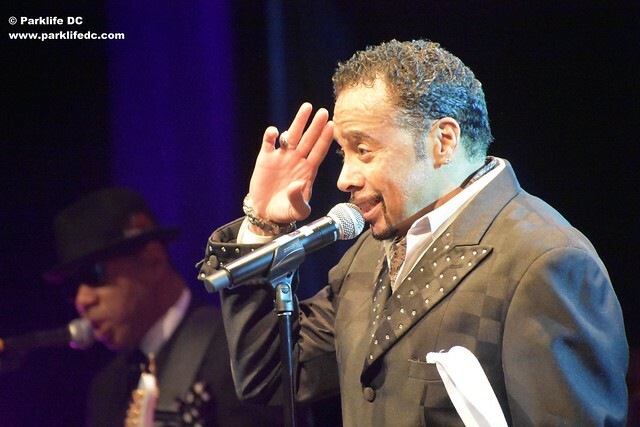 “Morris Day is breaking out into a sweat on stage. Posted on 09/28/2016 by Corey Paterson	in Live Review and tagged 9:30 Club, disco, funk, George Clinton, P-Funk, Parliament Funkadelic, psychedelic, soul. 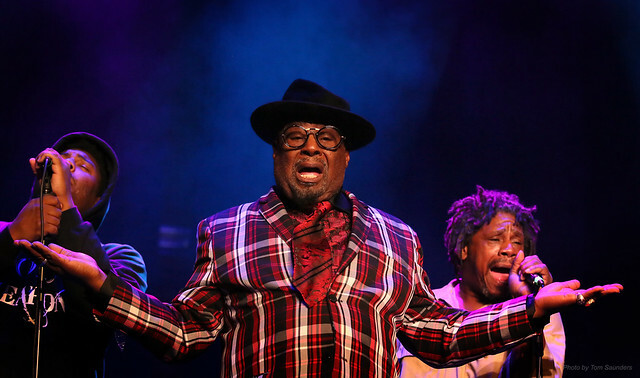 George Clinton and Parliament Funkadelic (P-Funk) brought the house down on Saturday at DC’s 9:30 Club! The audience embraced the spirit of the band as they awaited the show, dancing to the music that was playing in the venue. This was something new to me. I have never seen so many people enjoying the music played before a set. It was clear the mood of the night was set as soon as people walked through the doors. 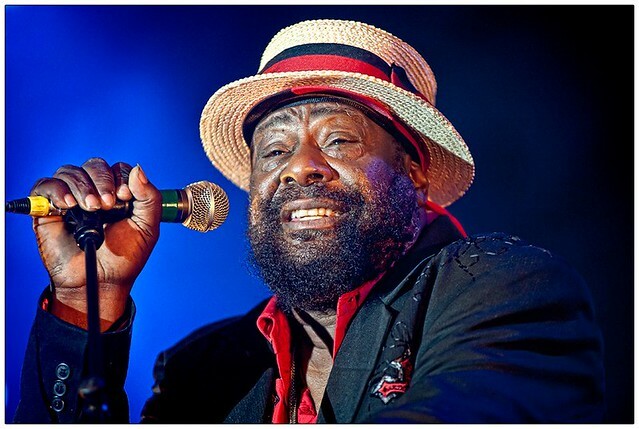 Posted on 09/16/2016 by Corey Paterson	in Live Review and tagged 9:30 Club, disco, funk, George Clinton, Parliament Funkadelic, psychedelic, rock, soul. Mark your calendars for Saturday, Sept. 24. If you see no other bands the rest of this year, go see George Clinton and Parliament-Funkadelic! I have seen P-Funk several times, and it is one of the best shows you can see. The thing is, you don’t even need to know their music to enjoy the show. The other thing is, you probably already know some of their music and you just didn’t realize it. You will hear George or one of the band members say, “Ain’t nothin’ but a party” at least once throughout the night, and that’s exactly what it will be. It is great music to dance to, great music to chill to, great music to rock out to. You name it, there is something for everyone. What I was most surprised and impressed by when I first saw them was how musically talented they are. This is not just a dance party. There will be three or four guitarists, a few drummers that switch off throughout the night, LOTS of people singing, and all kinds of other fun stuff. You may know the backstory. Basically, George created two groups — Parliament and Funkadelic. The two bands ultimately became one, which was logical because most of the members were in both groups anyway. George started his musical journey back in 1956 and is still going strong at the age of 75! The 9:30 Club is going to be rocking! I encourage you to put that on your calendar; you’ll be glad you did. If you are going to come, you might want to get yourself some caffeine. (Thanks for that upstairs coffee bar, 9:30 Club!) The doors don’t open until 8pm and once P-Funk comes onstage, there’s no telling how late they will play. I think if it was up to the band they might throughout the night. This is going to be a great show! Posted on 09/13/2016 by Mickey McCarter	in Live Review and tagged Boy George, Culture Club, London, new romantic, new wave, reggae, soul, Strathmore Music Center. Boy George sings at Strathmore Music Center on Sunday, Sept. 11, 2016. 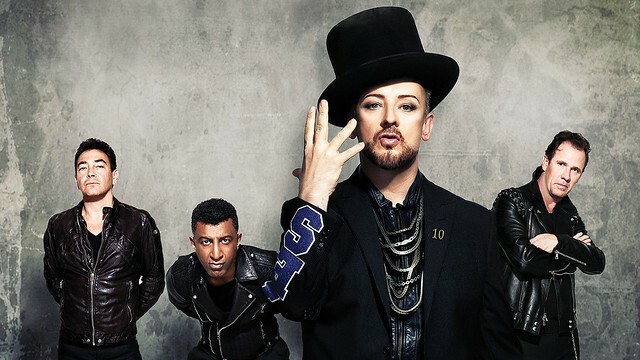 Boy George has embraced a new level of maturity, inspired in part by one of his heroes, funk musician Sly Stone. George discussed personal growth during a show at Strathmore Music Hall in Bethesda, Maryland, in the introduction to new Culture Club song “Different Man,” which will tentatively appear on a new album set for 2017 on Culture Club’s own label, Different Man Music. (There’s a theme for you!) George emphasized that you don’t become a different person like Sly, who may have done some reckless things in his youth, simply by growing older. Wisdom doesn’t simply manifest itself, and people must have the will to change, like Sly — or like George. “You have to decide to change and become a different man,” George acknowledged. With that, George launches into the soulful song about turning a new leaf. We understand clearly that George is apologizing for his own past behavior, and that he’s here now with his bandmates in Culture Club for the better. Posted on 08/03/2016 by Mickey McCarter	in Live Review and tagged Boy George, Culture Club, London, new romantic, reggae, soul, Strathmore Music Center. Culture Club eyed releasing a new album in 2016, but they seem to have cooled off on it for the time being. That said, the soulful UK quartet has been hard at work on touring! The original members — including bassist Mikey Craig, guitarist Roy Hay, drummer Jon Moss, and vocalist Boy George — have been traveling the world together in the last few years, and they appear to be having the time of their lives. 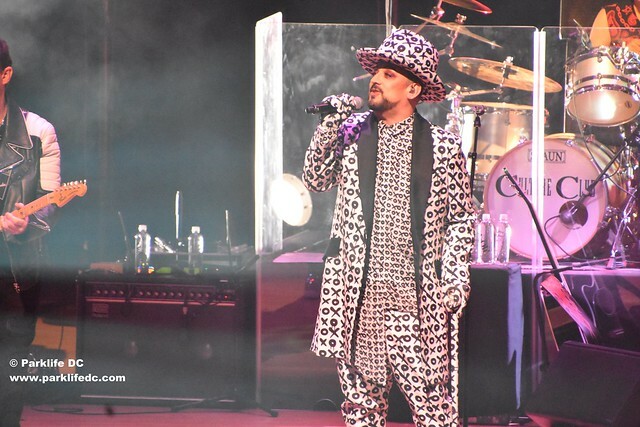 As evidence of how good touring has been for the group, Parklife DC gave their live show a very positive review when it stopped by Wolf Trap in 2015, and Boy George himself came around again with his friend Cyndi Lauper (again at Wolf Trap) in June. But the local touring doesn’t end there! The restless band now are planning to hit the Music Center at Strathmore on Sunday, Sept. 11. Tonight, Culture Club perform in San Antonio, Texas, hitting the road on the journey to their DC-area show. Don’t miss them blind — go see them in concert! Posted on 06/08/2016 by Mickey McCarter	in Live Review and tagged 9:30 Club, Australia, folk, gospel, Matt Corby, soul. 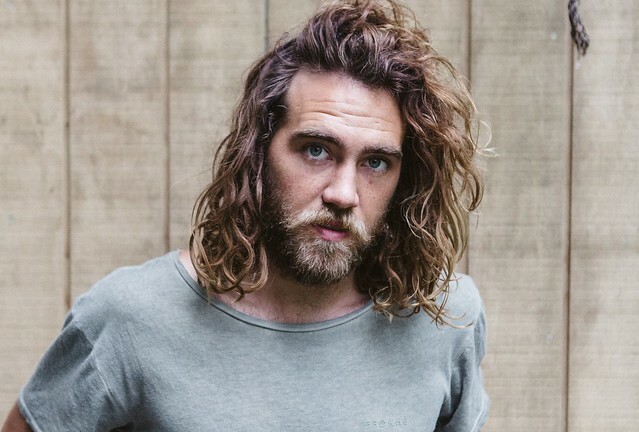 Bluesy folk singer Matt Corby has released his full-length debut album Telluric via Elektra Records, and he’s touring in support of it with a visit to the 9:30 Club on Monday, June 13. Matt gained a lot of attention in his native Australia with several EP releases, but he’s now breaking through in the United States with his new album. Overcoats open for Matt Corby. Tickets are available online. Posted on 05/03/2016 by Mickey McCarter	in Live Review and tagged Anastasia Antoinette, funk, jazz, Jon Batiste and Stay Human, music festival, Paperhaus, soul, The Original Wailers, Tigers Are Bad for Horses, Trouble Funk, VinoFest, wine festival, Yards Park. VinoFest, the DC metro’s top festival for bringing together music and wine, returns for a third year this Saturday, May 7, from 3-10pm at Yards Park. And you have a chance to win a pair of tickets to go with Parklife DC! VinoFest DC Wine and Music Festival has been at a different location each year so far, first at Union Market, then at Storey Park, but its new home in the attractive and well-maintained Yards Park is the best location for the festival yet! Yards Park is big, clean, and easily accessible by public transportation. 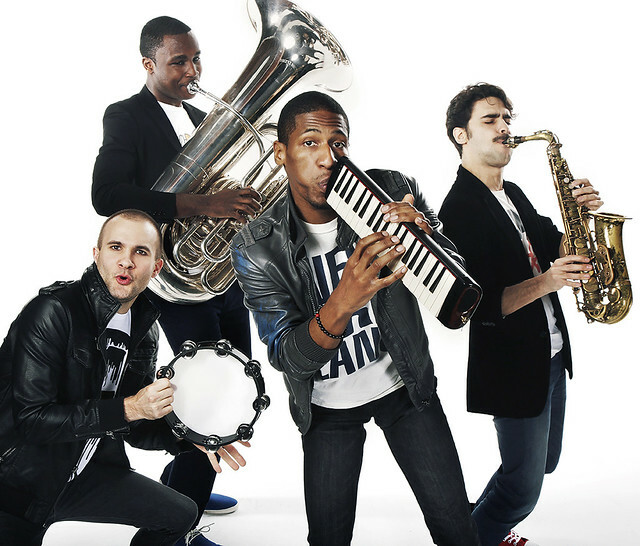 The 2016 edition of VinoFest also features its most ambitious music lineup to date, with the likes of The Original Wailers, Jon Batiste and Stay Human, and Trouble Funk, among others, providing the festival’s entertainment! And of course, guests enjoy eight 2-ounce wine tastings from a selection of 20+ vineyards with their admission. You can buy tickets online, but Parklife DC is giving you a chance to win a pair of general admission tickets right now! For your chance to win these tickets, simply leave a comment on this post using a valid email address between now and 5pm on Wednesday, May 4. Feel free to leave any comment, but perhaps share your favorite song from the festival musicians! One entry per email address, please. Tickets for VinoFest are also available online. Comments will close on Wednesday, May 4, at 5pm, and we will randomly select a winner. The winner will be notified by email. The winner must respond to our email within 24 hours, or they will forfeit their tickets and we will pick another winner. Tickets will be available to the winner at the check-in desk at VinoFest 2016. The tickets must be claimed with a valid ID. The winner must be old enough to drink (21+ years of age as of Friday, May 6). You can see the full list of wine offerings on the VinoFest Eventbrite page.